Figure 1. Canadian National Vimy Memorial http://www.veterans.gc.ca/eng/remembrance/memorials/overseas/first-world-war/france/vimy. Screenshot taken 10 October 2017. Last year, cartoonist David Parkins re-imagined America’s Statue of Liberty as a Canadian. A maple leaf adorns her crown and she has a hockey stick tucked under her arm. American cartoonist Mike Luckovich went even further: Liberty has packed her bags and moved to Canada, being welcomed by Prime Minister Justin Trudeau as she arrives. Yet before Canadians get too complacent in the face of Donald Trump’s more obvious assaults on liberty, they would do well to reflect that only a few years ago our own Conservative government led by Prime Minister Stephen Harper embarked on very Trump-like policies on matters such as Muslim head coverings and climate change. Indeed, successive Harper governments (2006-2015) went much further in re-imagining our nation’s history and heritage than we have yet seen happening south of our border. Here I consider two of these initiatives: The Never Forgotten National Memorial proposed for Cape Breton Highland National Park in Nova Scotia and the Memorial to the Victims of Communism proposed for the nation’s capital, Ottawa. Both were due to open in 2017, the year of our 150th anniversary since Confederation. Now, as that year draws to a close, Mother Canada looks likely never to materialize and the Victims memorial has been downsized, re-designed, and re-located. Why one proved to be a failure and the other a qualified success is the focus of this article. Apart from the part played by electoral concerns, I suggest that the Victims of Communism monument will come into being in part because the campaign of its backers, the Tribute to Liberty Foundation, drew on proven mobilization strategies, which many public historians would find familiar. In the federal election of October 2015, history and heritage was a minor but divisive issue. Harper’s Conservative government was seeking re-election for a fourth term. Its track record in re-configuring our national imaginary – replacing indigenous art work by sculptor Bill Reid on our twenty-dollar bill with an image of the Vimy Memorial, incorporating nationalist images on the pages of our passports, installing monuments to war heroes and the War of 1812 on or near the Parliament Buildings, revamping the Canadian Museum of Civilization into the Canadian Museum of History – became a subject for debate. For local members of Parliament the focus was of course on the two proposed memorials. The Conservatives vowed to see the projects through in time for the 2017 celebrations. The left-wing New Democratic Party, which at one point looked likely to win the election, promised to review if not reject both projects as did the Green Party. Trudeau’s centrist Liberals were less dogmatic, but seemed likely to re-think the memorials, which is what happened when they became the new government. Figure 2. The Never Forgotten National Memorial. https://www.nfnm.ca/#slide7. Screenshot taken 10 October 2017. When Toronto food packaging businessman Tony Trigiani found himself at a Canadian war cemetery on the Adriatic Coast in Italy, he was struck by the absence of a major memorial to fallen men and women in his homeland. 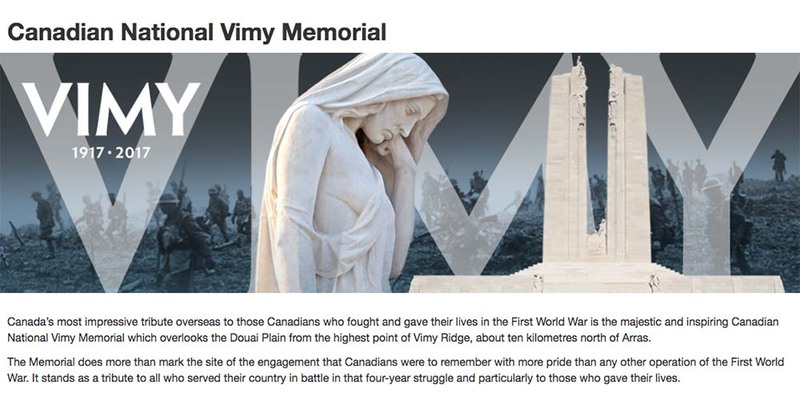 Like most Canadians, Trigiani would have known the Canadian National Vimy Memorial in France, a monument featuring Canada Bereft, a draped female figure weeping in mourning (Figure 1). Determined to address this act of forgetting, Trigiani launched a campaign to build a memorial on the Nova Scotian shores of the Atlantic Ocean. It would feature a platform jutting into the ocean, with a similarly draped female figure reaching her arms out across the Atlantic to receive the fallen in Europe and elsewhere (Figure 2). Although the projected cost of $25,000,000 was to be achieved through private donation, federal permission was needed to locate the memorial at Green Cove in Cape Breton Highlands National Park, owned and managed by Parks Canada and located close to the Cabot Trail. As a landscape of exceptional beauty, attracting hikers and eco-tourists, the Trail and the Park seemed an incongruous setting for such a large installation: Mother Canada was to stand ten stories high. While local opinion was divided, some supporting the concept because of the employment it would bring both through its construction and then as a tourist attraction with others arguing it would destroy this place of natural beauty, the government seemed fully supportive. Not only did the prime minister and several cabinet ministers support fund-raising appeals, but Parks allocated $100,000 of public funds to the foundation for research and website development. In the end, this private initiative fell afoul of the new Liberal Government. In February 2016, four months of the election, Parks Canada officially withdrew permission for the installation an announcement that effectively killed the project although the Foundation’s website still encourages browsers to contact their local member of parliament to lobby for it to be reinstated. Figure 3. Tribute To Liberty. http://tributetoliberty.ca/. Screenshot taken 10 October 2017. Like Mother Canada, the Memorial to the Victims of Communism seems to have been the inspiration of an individual but this time that person happened to be the Secretary of State for Multiculturalism and Canadian Identity, Jason Kenney. While visiting a small and rather unsubtle monument in Toronto to those who suffered under communism (it depicts a man being impaled on a hammer and sickle), Kenney is alleged to have remarked to the Czech ambassador that it would be appropriate to remember such victims with a memorial in the nation’s capital, Ottawa. The idea gained traction among many Eastern European and East Asian emigres and descendants of refugees and the Tribute to Liberty Foundation was formed. With high level government support, the Foundation lobbied the National Capital Commission (NCC), which manages federal public lands and properties in the national capital region, for permission to build the memorial on NCC property. In February 2009, the NCC’s committee of experts, including historians, came back with a largely negative report. 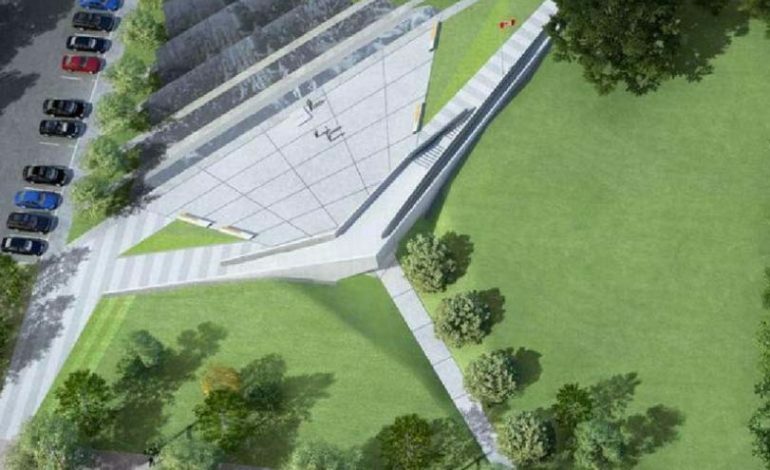 In their view, the proposed memorial was not “a central theme in Canadian history” and was narrowly conceived so as to lack sufficient “plurality of perspectives”. They suggested that the memorial be reconceived to focus on Canada as a place of refuge from all totalitarian regimes and recommended full public disclosure and a competition for the design. The Foundation responded with a few concessions, such as adding “Canada. A Land of Refuge” to the monument’s description, but they resisted further changes. Instead, they embarked on a campaign to prove that this was, indeed, a Canadian story, claiming that eight million Canadians could trace their origins “to countries that suffered under Communism”. Their current website asserts the Canadian-ness of the memorial explicitly in text and image (Figure 3). Moreover, the closed process that the government had embarked on in collaboration with the Foundation continued, most notably in the announcement that a design had been chosen (Figure 4). Figure 4. Original Design for the Memorial to the Victims of Communism. NCC/Ottawa Citizen. http://ottawacitizen.com/news/local-news/joly-announces-next-steps-for-victims-of-communism-memorial. Screenshot taken 10 October 2017. It was to be a massive installation, with a footprint larger than the National War Memorial, a rather brutalist installation which included 100 million finger-tip sized memory squares onto which donors could have names inscribed for a donation. The ideological intent thus seemed clear given that the number of squares matched the discredited Black Book of Communism’s estimate of 100million victims of Communism. It was to be located on NCC land occupied by the garden of the provinces and territories opposite Library and Archives Canada on Wellington Street. The cost of the memorial was estimated at $5.5 million and when the anticipated flood of public donations failed to materialize the government announced in October 2013 that it would be committing $1.5 million to the project (doubled in August 2014) as part of the anticipated 2017 celebrations of nationhood. The announcement caused an outcry from many. Green Party leader Elizabeth May proposed a monument to the Victims of Capitalism prompting others to suggest monuments to the victims of slavery, imperialism, fascism, or religious extremism, or to missing and murdered indigenous women. 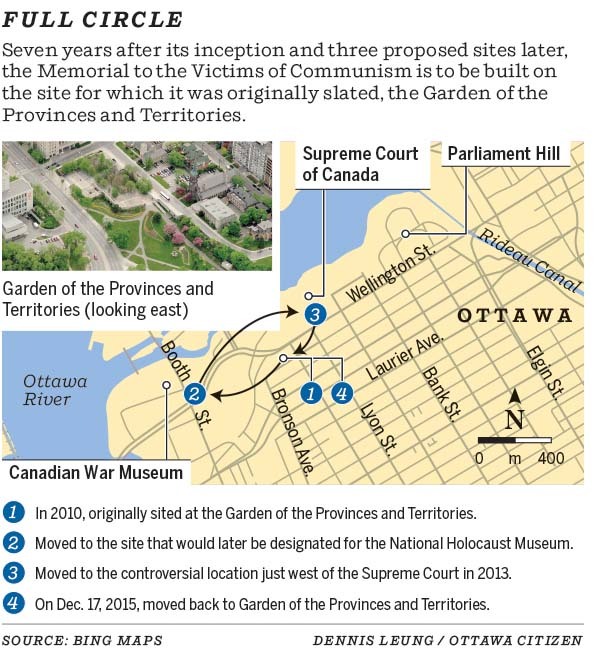 To make matters even more controversial, the government announced that it would be moving the monument from the designated site to the precinct of the Supreme Court of Canada (Figure 5) and so closer to Parliament Hill. Opposed by architectural firms, heritage organizations, and the City of Ottawa, the re-location also earned a rebuke from Chief Justice Beverley McLachlin who declared that the “proposed designs for the memorial could send the wrong message within the judicial precinct, unintentionally convene a sense of bleakness and brutalism that is inconsistent with a space dedicated to the administration of justice”. Figure 5. Sites for the Memorial to the Victims of Communism. Ottawa Citizen, 17 December 2015 at http://ottawacitizen.com/news/local-news/joly-announces-next-steps-for-victims-of-communism-memorial. Screenshot taken 10 October 2017. The fate of the memorial rested with the October 2015 election and the victorious Liberals eventually decided to support the idea of a monument, but to adopt a transparent process that their Conservative predecessors had ignored. An open design competition was held and a much less didactic memorial than the original was chosen, featuring a wooden curtain or veil (Figure 6) from a range of abstract (coloured columns, a cube, a pathway with bronze stellae) and figurative (a teetering monument mimicking the downing of a monument to Lenin) proposals. In addition, the monument was much smaller in scale and was re-located to its original proposed site near the garden of the provinces and territories. It is due to be complete by autumn 2018. Figure 6. Current Design, Memorial to the Victims of Communism. http://tributetoliberty.ca/. Screenshot taken 10 October 2017. Why was one memorial abandoned and the other reconfigured? There is the obvious political answer, for at the end of the day the potential votes that might come from those supporting the Memorial to the Victims of Communism was just too electorally significant compared to the risk posed if the Liberals abandoned the Never Forgotten National Memorial featuring Mother Canada. Moreover, whatever the private ideological motivations of the previous government and its ministers, the Liberal government inherited a Federal financial commitment to the Memorial to the Victims of Communism project that was hard to ignore, whereas little had been committed to building Mother Canada. Moreover, however flawed the process had been – with deals and decisions made behind closed doors – at least some negotiations had taken place in contrast to the entirely private initiative of a Torontonian situated in a national park in Nova Scotia. For public historians, it is striking how successful the one campaign was over the other, if not in terms of generating revenue, certainly in terms of bringing publics into the discussion. The Tribute to Liberty Website offered newsletters, which featured stories of students raising funds, of newly discovered stories of past repression, and of campaigns in other countries to recover hidden histories or create new ways of remembering. This internationalization of the project made it that much more difficult to challenge without risking a backlash within Canada and beyond. Following the best interactive practices of the new museology, such as inviting visitors to share their impressions of an exhibit on post-it notes or index cards, the website invited visitors to share their stories, in its most recent form by offering a message or dedication by donating $200 for “a brick for the virtual Pathway to Liberty that leads to the Memorial.” Besides effectively marshalling history, remembering and forgetting, emotion and affect in its campaign, the Foundation for the Victims to Communism memorial took care over several years to respond to complaints that this was not a Canadian story. Their website and newsletters featured the stories of individuals who fled Communist regimes for a better life in Canada, playing deliberately into the national imaginary as a place of refuge, where, indeed, America’s Statue of Liberty would naturally find a home should anything go wrong in the United States. This use of affective history resonated with enough people, or was seen to have done so, that the Liberal government decided not to risk alienating those in favour of the memorial. David Dean is Professor in the Department of History, Carleton University and co-director of the Carleton Centre for Public History. He specialises in public history, particularly historical representation and performance in museums, film, and theatre. He completed his Ph.D. from University of Cambridge. David edited a special issue of Peace and Conflict (2013) focusing on Canadian museums as sites of historical understanding and social justice and co-edited History, Memory, Performance (Palgrave, 2015) exploring performances of the past in a variety of contexts. He is editing A Companion to Public History (forthcoming 2017, Wiley-Blackwell). He is an activist with Ottawa’s Workers’ History Museum, a Life Member of Clare Hall, Cambridge, and a Fellow of Britain’s Royal Historical Society. David is also an elected member of the Steering Committee of the International Federation for Public History and co-editor of its new journal, Public History International. *This is a version of a paper presented at the International Federation for Public History 4th Annual Conference in Ravenna, Italy 8 June 2017. I would like to thank my fellow panelists Indira Chowdhury, Geoff Cubbitt, and Paula Hamilton, our chair Michael Frisch, and the audience for their helpful comments. The Economist, Oct. 29 – Nov. 4, 2016, front cover, visible at https://www.economist.com/printedition/2016-10-29 (accessed 10 October 2017). Standard Journal, 31 January 2017 https://www.rexburgstandardjournal.com/opinion/cartoon/political-cartoon-by-mike-luckovich/image_3a0f8ae4-e74a-11e6-9bf3-3385f48a70f0.html (accessed 10 October 2017). See David Dean, “Politics and Memory in Canada’s New History Museum”, Memoria e Ricerca 54.1 (2017), 117-134.
and for the Cape Breton monument see the Cape Breton Post, 1 October 2015 at http://www.capebretonpost.com/news/local/2015/10/1/sydney-victoria-debate-attracts-more-tha-4296473.html (accessed 10 October 2017). Canadian Broadcasting Corporation (CBC) Radio The 180 June 18 2015. http://www.cbc.ca/radio/the180/a-debate-over-first-past-the-post-bounties-for-whistleblowers-and-why-we-re-doing-monuments-wrong-1.3118677 (accessed 10 October 2017). The Globe and Mail, 14 April 2016 at https://www.theglobeandmail.com/opinion/mother-canada-statue-in-cape-breton-so-many-questions-so-little-restraint/article17506478/?arc404=true (accessed 10 October 2017). The Globe and Mail 23 June, 2015 at https://beta.theglobeandmail.com/globe-debate/editorials/mother-canada-statue-is-hubristic-ugly-and-just-plain-wrong/article25083043/ (accessed 10 October 2017). For a detailed account and analysis see Gregor Kranjc, “Memory Politics: Ottawa’s Monument to the Victims of Communism”, Active History.ca at http://activehistory.ca/papers/papershistory-papers-19/ (accessed 10 October 2017). Ottawa Citizen, 19 March 2015 at http://ottawacitizen.com/news/local-news/memorial-to-victims-of-communism-didnt-meet-criteria-ncc-panel-said (accessed 10 October 2017). CBC News, 17 October 2013 at http://www.cbc.ca/news/politics/jason-kenney-elizabeth-may-in-twitter-tiff-over-memorial-1.2102081 (accessed 10 October 2017); http://rabble.ca/blogs/bloggers/michael-stewart/2013/08/five-suggestions-monument-to-victims-capitalism (accessed 10 October 2017). A monument to missing and murdered indigenous women was erected in Winnipeg, Manitoba in August 2014, http://www.cbc.ca/news/canada/manitoba/winnipeg-monument-honours-missing-murdered-aboriginal-women-1.2734302 (accessed 10 October 2017). Ottawa Citizen, 23 January 2016 at http://ottawacitizen.com/news/local-news/mclachlin-alarmed-by-bleak-designs-for-victims-of-communism-memorial (accessed 10 October 2017). 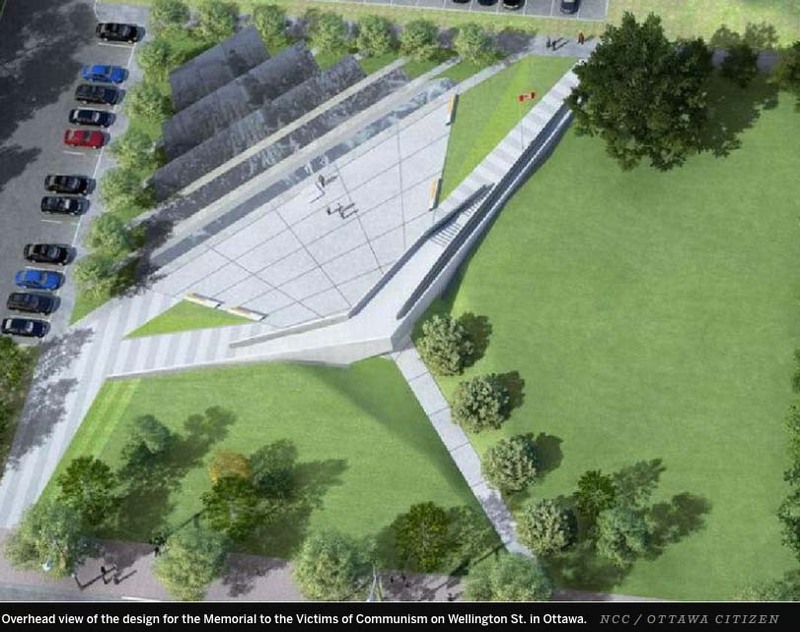 Ottawa Citizen, 2 March 2017 at http://ottawacitizen.com/news/local-news/five-competing-designs-revealed-for-victims-of-communism-memorial (accessed 10 October 2017). CBC News, April 22 2016 http://www.cbc.ca/news/canada/ottawa/ottawa-communism-memorial-public-consultation-1.3549337 (accessed 10 October 2017). Reddit,https://www.reddit.com/r/canada/comments/3cnubg/mother_canada_gets_the_bruce_mackinnon_treatment/ (accessed 10 October 2017).